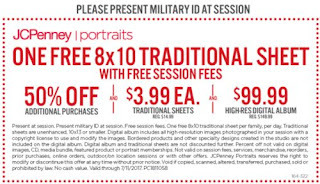 Get one FREE 8×10 Traditional Sheet with FREE session fees at JCPenney Portraits with this coupon. You may print or present this coupon on your mobile phone to the studio associate. Must present Military ID at session. 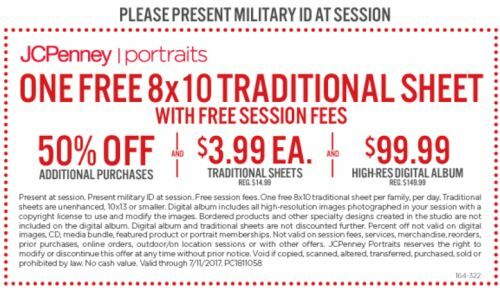 Valid through 7/11/2017. Click the link below to get the details.